More Info: Logo & Brand Identity Design. Logo and Brand Identity designed by The Logo Smith, for UK Bike Shop, Pedal Works. The Logo created in a modern vintage style, as requested by the client. Two forms of the Pedal Works logo exist: the full version including the chainwheel, and the 2nd version is the ‘Pedal Works’ Word Mark only. The logo has been used and applied in many various ways, some of which are: Pedal Works Branded Bike Clothing and Accessories, Feather Flags, Shop Signage and Uniforms, race competition Tents and Marquees, Sponsored Brand Riders Kit, etc. 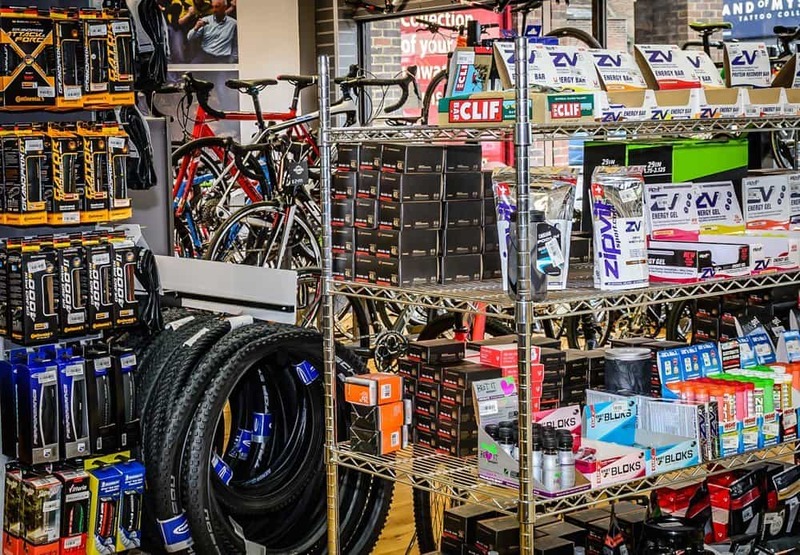 Pedalworks is a specialist bike shop located in the conservation area of Dunstable, which is at the foot of the Dunstable Downs. To support you to reach your potential and achieve your ambitions as a bike rider…from commuters to racers and everything in between. We offer the latest innovations in bikes, components and clothing alongside traditional styles and materials. Reynolds and Columbus steel sit alongside Titanium and OCLV Carbon…the choice of what is best is up to you. We have carefully chosen brands that offer performance and great value as well as making choosing what is right for you easy. We offer bike fitting as well as other specialist services such as wheel building, suspension servicing as well as nutritional advice and training programs. All our staff are cyclists and they are all different, no two of them rides the same way or likes the same things……we know that our customers have the same diversity.